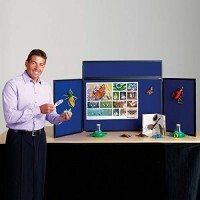 Share your presentation with this compact table top display panel. 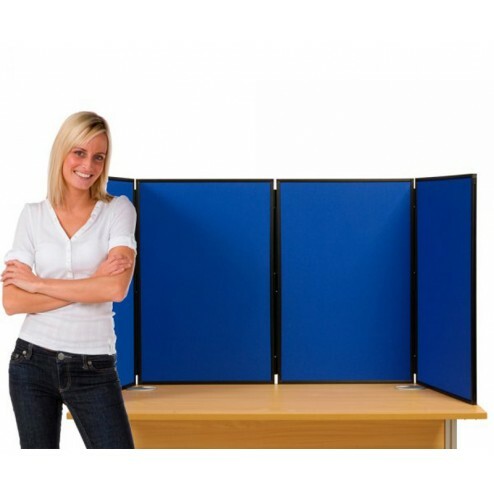 A versatile display tool, this four panel table panel display with plastic frame is ideal for use within trade shows, exhibitions, open days or classroom environments. Customise the appearance for your brand needs by choosing the colour of both the frame and the panel from a selection of eight contemporary shades, then apply your visual displays to the panels with confidence and create your perfect display. 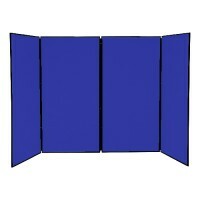 The unit folds easily for storage and transport and comes with its own rigid plastic carry case. 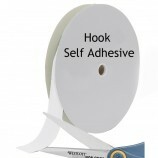 It’s ideal for showcasing your promotional information, graphics or photographs neatly and securely. 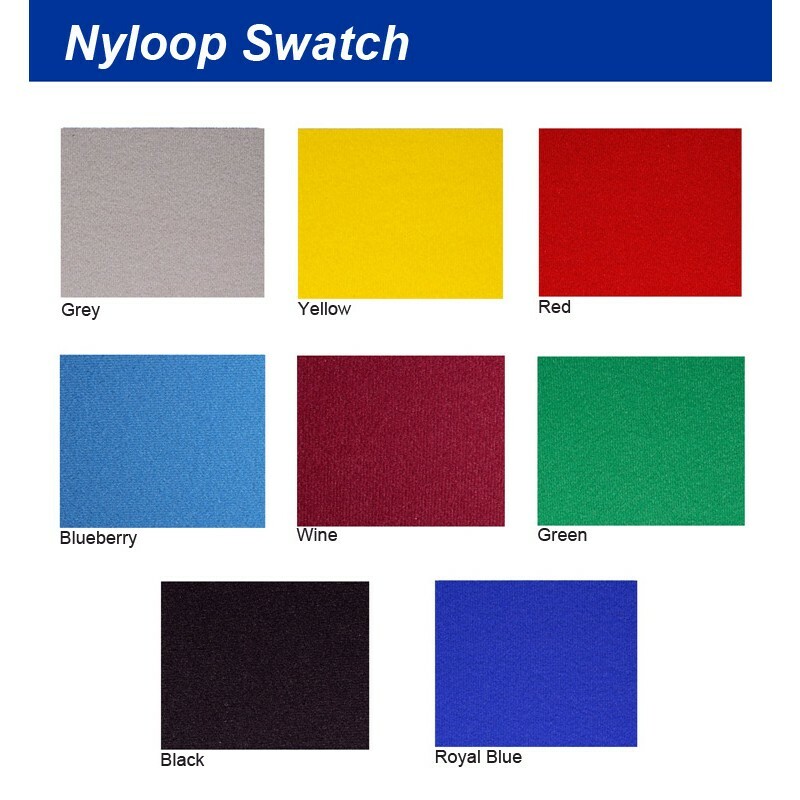 A tidy Nyloop Velcro surface is hard-wearing and Velcro fastenings keeps your display looking impeccable – just what you need for perfect promotion. Beneficial also for teaching small children – not only does this display include safe plastic hinges, its interactive quality and cheerful design promotes fun learning too.